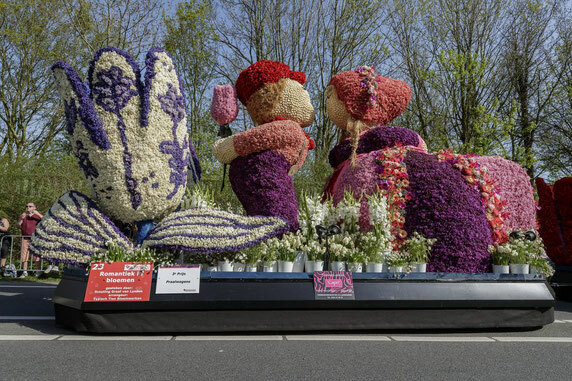 The 72nd edition of Bloemencorso, the Bollenstreek between Haarlem and Leiden, will take place from Friday evening, April 12th to Saturday, April 13th, bringing about a million visitors from around the world to the bulb region in the week of the floral parade. 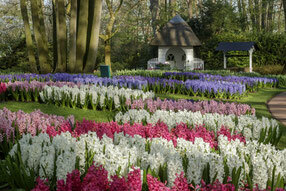 The reasons for such success are in the landscapes that surround this unique event, made of colorful fields of bulb flowers in full bloom, also The park of Keukenhof (from which passes the parade) is perhaps the event that attracts more tourists in this period, but also the media attention. If you want to see the Bloemencorso carts as they are, then you can go and visit the "construction days". The trucks reside in large rooms for three days where hundreds of volunteers prepare the carts with fragrant and colorful spring flowers like hyacinths, daffodils, tulips and many other bulb flowers. Flowers are attached to the wagon design in a special way; this is what they call "points". If you're lucky, you can try it yourself. Think how wonderful to see your work pass on the weekend! The construction days of 2019 will be on Wednesday 10th, Thursday 11th and Friday 12th April 2019 at DeLeeuw Flowerbulbs in Sassenheim. This company of flower bulbs has hosted the days of construction for years. You can not just enter like that. You can buy a ticket at the ticket office and if you want to learn all the good things, you can also book a guided tour. Entry is open until one hour before closing. Since it is a matter of working on wagons, sufficient work space must be available for the volunteers. Not everyone can simply enter and not everyone can enter at the same time. 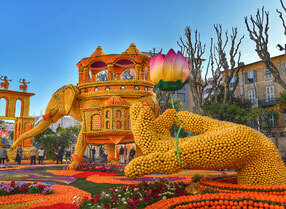 If you come with a group or want a guided tour, it is good to register in advance by: communicatie@bloemencorso.info. Choose a preferred time, the desired language (NL, FR, ENG, DU) and let you know how many people the group is formed to better organize the visits. Guided tours start every hour with a participation of 20 people. Anyone with a disabled parking card can, on presentation, have assigned a special place to the traffic controllers. With regret, there are no disabled facilities available on site. There is a convenient coffee counter in the lobby. Here you can order a cup of freshly brewed coffee or tea, possibly with a stuffed cake or a delicious piece of cake. Non-alcoholic drinks, soups, sandwiches, desserts and various meals are also available. 2171 AM Sassenheim (A44 uscita 4). Several parking lots have been set up in the immediate vicinity of the Deleeuw Flowerbulbs. You can reach the parking lot with the navigator and from there follow the directions of the traffic controllers. The location is also accessible by public transport. Check on www.9292.nl the current planning of public transport, stops and walking routes. Show on the Nassaulaan - Gedempte Oude Gracht.